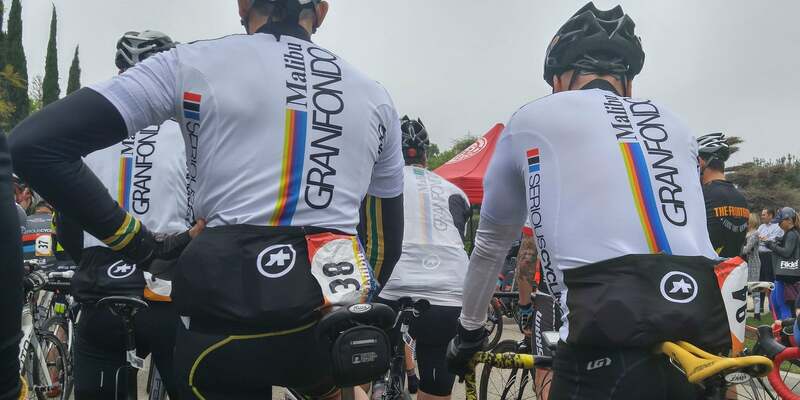 Mar 7, 2016 – Imagine rolling into Malibu, California with the sun overhead, ocean breeze at your back and the mountains in the near distance rousing your legs to ascend like the great champions of the Tour de France- this is the Malibu Gran Fondo. The opening stage begins in the heart of quaint Westlake Village, nestled in the Conejo Valley, resting its back onto the Santa Monica mountains. As the stage kicks-off, the ride follows the edges of the mountains onto Potrero Road and quickly turns towards the beautiful landscape of Moorpark, California, climbing steadily into Balcom Canyon. Looping back on a steady descent through Camarillo and Point Magu, the ride continues to the Pacific Coast and makes its way along one of California’s most iconic highways – PCH. The cruise along the water provides deserving refreshment ahead of the epic Latigo Canyon road, an ascent that sets the stage for our inner climber, snaking its way upwards with several pitches and curves along the way. Cresting the top and harnessing victory at the KOM/QOM, a well-earned descent back into Westlake Village caps off a truly valiant ride through Malibu. But instead of packing up your bike and heading home, Serious Cycling go above and beyond, providing exceptional fine dining at the Four Seasons pavilion, massage and recovery from Cyclists Massage, as well as bike valet/wash/lube provided by WD-40 following the ride. All of which is included in your entry fee. Let’s not forget to mention, that during the opening stage, Mavic provides full wheel support, and there are three rest-stops with revitalizing real-food, snacks and water along the way. Stage two is none other than the “race of truth,” the ever deciding time-trial, the mythic test that has both crushed and built cycling’s great champions. The clock begins to tick as riders fly along the Pacific Coast Highway, starting from the Trancas Market to the Point Magu state park. Following the time trial, a recovery ride heads back to the Trancas Market where a gourmet brunch awaits the day’s great cycling heroes.